The L-1 visa is one of the best resources a global company can access in the United States. It has the potential to be a gateway to a growing workforce. It can allow you to expand the reach of your specialized employees. It’s truly powerful. But, it can be a bit complicated. To parse through the murky (and ever-changing) legal implications of the L-1 visa, we hosted a webinar along with Global Immigration Associates attorney Cynthia Coulange to give us the rundown. The hour-long webinar and covered the ins and outs of the L-1 visa and how companies can truly maximize of its worth. The L-1 is a visa for certain employees transferring to the United States. To qualify, these employees must be either executives, managers, or specialists. The policy surrounding the L-1 visa is very specific in its definition of these roles and which activities qualify. A specialist, for example, must possess unique knowledge that’s essential to the company. An executive can only be engaged in high-level business activities and can’t simultaneously be involved in boots-on-the-ground activities. The complications make it even more necessary to adhere to the guidelines. Compliance is the only way to get your employees where they need to be. But there is a way around the rigorous application process. The USCIS has set up a company-applied certification that is essentially the TSA Pre-Check of the business world. And the Blanket L Certification has proven to be a lifesaver for businesses that need to make quick transfers or move multiple personnel. If you qualify for the Blanket L Certification, there are a number of reasons you should take advantage of it. The Blanket L Certification is available for companies that either have had 10 L visas approved in the past year, have made $25 million in annual sales in the U.S. or have a U.S. workforce that’s at least 1,000 strong. Meet one of these qualifications and you can skip up to six months of per-employee processing time and stacks of paperwork. 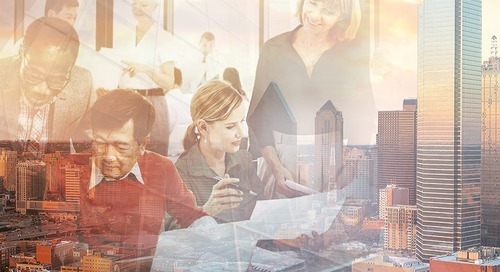 With the certification, a company’s transferring employees don’t have to go through the scrupulous and time consuming USCIS application process. Rather, they can take their petitions directly to the U.S. consulate abroad, participate in a short consular interview, and find out right then and there whether they will be approved for their visa. Having a Blanket L gives companies the ability to make short-notice transfers – unheard of with most other visas. This qualification streamlines an otherwise complicated process, especially as the USCIS continues to increase scrutiny on L-1 visa employers and applications across the board. The trend toward increased scrutiny means companies are facing more challenges in the L-1 approval process. One way employers can increase their odds of approval – with or without the Blanket L – is by keeping detailed records. Records that support an employee’s training documentation, roles and activities at foreign branches, and other well-organized documents can help make the process of putting together a petition seamless. These documents will serve as proof to back up any claims about the role and activities the applicant has performed. Basically, the authorities are looking to corroborate your story with the physical evidence, and companies can be prepared for that by making sure their records are in order. Another best practice to strive for: Be able to show that the foreign branches from which applicants are transferring are highly functional parts of your business. The government is looking deeper than just superficialities these days, and employees from non-performing business entities are not going to make the cut. Only if you approach the petitioning process with care, precision and diligence, can you get through the enhanced scrutiny of the immigration authorities. Are you an HR manager navigating the L-1 visa process? Watch the webinar on demand today and get a legal insider’s perspective. 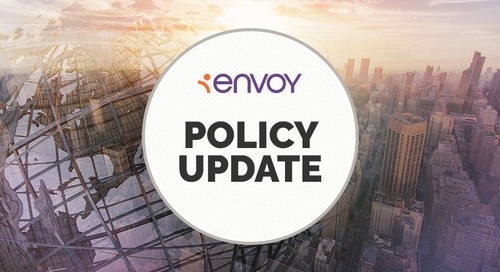 The post Successfully Navigating the L-1 Visa appeared first on Envoy.